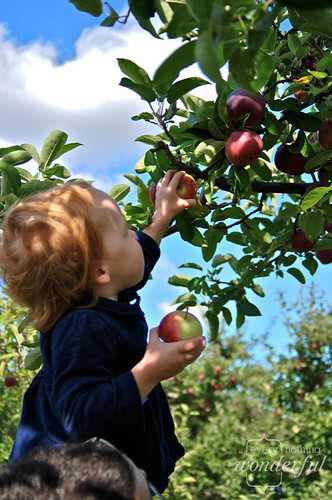 We've taken the little one apple picking twice this year. Once was rainy and very, very quick (and the orchard technically closed but they let us in anyway - a thank you to them), the other was pure perfection. 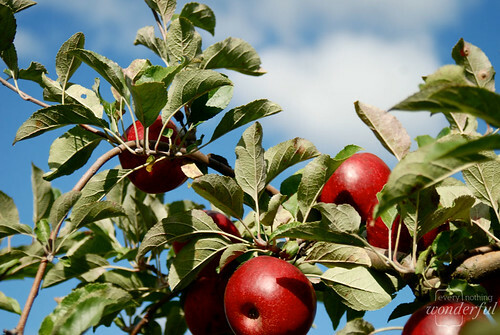 The day was glorious, the weather superb, everyone in a good mood and the apples divine. Eh ate probably 7 apples by the time we left. Seven. For weeks now that's all she as wanted to eat. "App-poh! App-poh! App-poh!" we would hear relentlessly. Finally, thanks goodness, she's getting over her obsession. But I still have apples. I've already made a good 12 jars or more of apple sauce, an apple cake, pie filling...what more? Not a clue. I mean sure, there are a million apple recipes but I can only eat so many variations of pie or cake or crumble. Before I go on, did I mention the amazing weather and perfect day? Well anyway...I was flipping through a cookbook and passed a vegetable tempura page. "That's it!" I thought - Apple Tempura! And though, after a cursory google, I realized this wasn't an entirely new idea, I am hoping you'll find it new and the dipping sauces worth a try. Some things are expected with apple - caramel for example - and though I considered abandoning the expected entirely I decided instead to just give it a twist. There is a reason some things are expected, and apple and caramel, for one, are pretty divine when combined. So we'll give it a little twist instead. 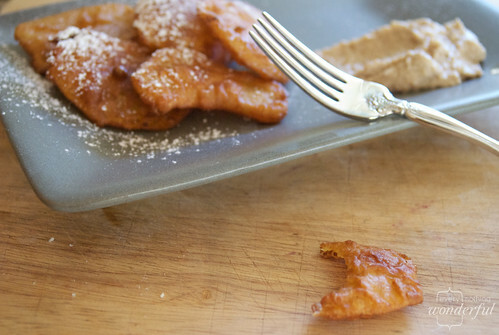 Below you'll find the recipe(s) for Apple Tempura with 3 sauces: Fig, Goat Cheese, Walnut and Honey spread or sauce, Brandied Caramel Sauce, and Chocolate Chili sauce. For those of you accustomed to my recipes being pre-converted for UK or Australian measurements I'll no longer be doing that - instead I made a conversion chart you can download (click here) (US readers will probably find it helpful as well!). Add eggs, cider, and spices to the flour. Stir well until about the consistency of cream - but don't worry if there are lumps. Refrigerate until ready for use. Put oil in a nice deep pot until it is about a third of the way full. Heat until about 325F, or until you drop a piece of bread in and it becomes a nice golden brown within about 20 seconds. For a more crisp tempura I recommend drying your apples a bit - with a towel or napkin - before dipping in the batter (or dragging though a vat of confectioners sugar before dipping, ohhh scandal!) Do remember though, apple soften as they cook so they make be softer on the inside with a crisp batter outside - it will depend on the type and freshness of your apples. When the oil is ready, go ahead and dip your apple slices in and drop gently in the oil a few at a time. The apples do not need to be dripping in batter, in fact if you do that you'll only end up with batter clumps in the oil. Turn often (I like to use something like a spider skimmer for this job) until a nice golden hue - actually, I prefer them a darker golden for a more crisp bite. Let the finished tempura rest on paper towels or, in our paper-free home, we use a cookie cooling rack atop a baking sheet. Serve hot with any of the amazing sauces below. In a small pot add 1/2 cup water and figs. Bring to a boil, cover, reduce heat and let simmer for 10 minutes. 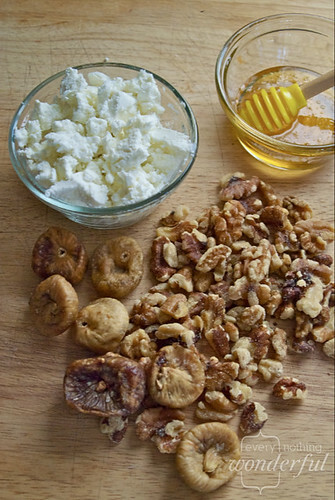 Chop nuts and add to a food processor along with goat cheese, honey, nutmeg, water and figs from saucepan. Process until smooth. At this point you'll have an excellent spread - and you might like the thicker consistency. You can stop here and use this on a piece of bread for a lovely, protein rich treat or you can add some water or cream to make into a sauce. I've found 3 tablespoons got me to the consistency I liked, but you might like more liquid. As it sits before serving, it tends to get thicker, so you may need to add more liquid if you make the sauce ahead - just stir in before serving. 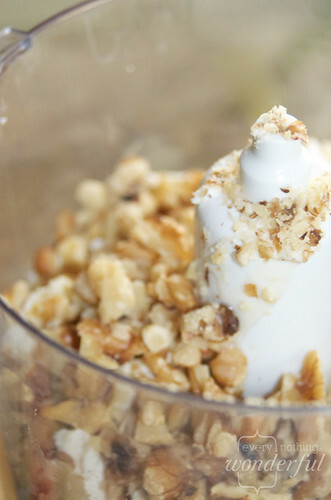 Combine all ingredients except milk in a heavy pot. Heat over medium, stirring frequently, until everything is melted and incorporated. Off the heat - add milk/cream and stir to give a nice velvety sheen. For more kick add more chili! I felt this was a good medium - not too spicy for most tastes but I understand many like more kick so feel free to play around! In a heavy pot combine the sugar and water bring the to a bubble - heat on medium. No need to stir (but I always do - can't help it!) just keep a close watch and when the caramel starts to turn a golden brown color turn off the heat. 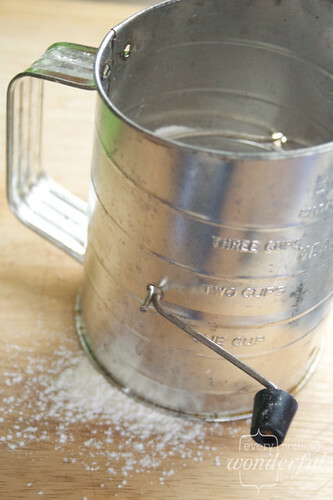 If you are using butter you'll need to whisk the butter and sugar frequently to prevent burning. Again, take off the heat once a golden brown color. Once a caramel gets to the golden brown stage it can go very quickly from divine to burnt so keep a close eye on things! Take the caramel off the burner, now this is important - put the pot at an arms length and pour in the cream - it will bubbly quite fiercely! Stir this together with a good strong spoon, a wooden one is my favorite and add the salt and brandy. If the caramel seems too runny for your preferences return it to heat and let it simmer for a few minutes to thicken. Other no cook topping/dipping options: Maple syrup, powdered sugar, soy sauce (for sweet/sour)...do you have other ideas? Hope you enjoy - and if you do try the recipe please leave feedback and let me know what you liked or didn't! I love to edit and sample so all suggestions are welcome and appreciated! This sounds delicious! 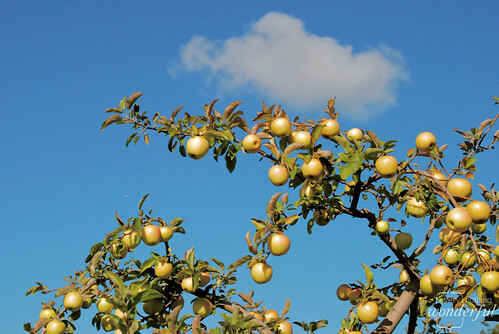 Love the photos of the apples and the sky, this makes me want to go and bake fall things!